Enjoy Wi-Fi in our office! 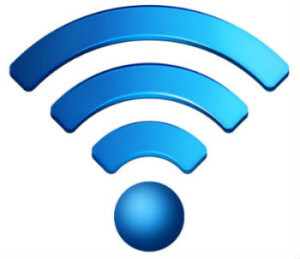 We are pleased to announce the availability of complementary patient Wi-Fi in our office! Even though we pride ourselves as being the Orange, CT dental office that runs on time, there will inevitably be times when you are waiting. Rather than searching for a 3G or 4G signal, why not enjoy our dedicated patient wireless network? We have also teamed up with Optimum (a.k.a Cablevision) to host an Optimum Wi-Fi Hotspot in our office! So those patients who are also Optimum customers can easily get on their wireless network. Both wireless networks – our dedicated one for patients – as well as the Optimum Hotspot – are completely segregated from our internal network. We take patient privacy very seriously and there are multiple levels of security safeguarding our patient data. 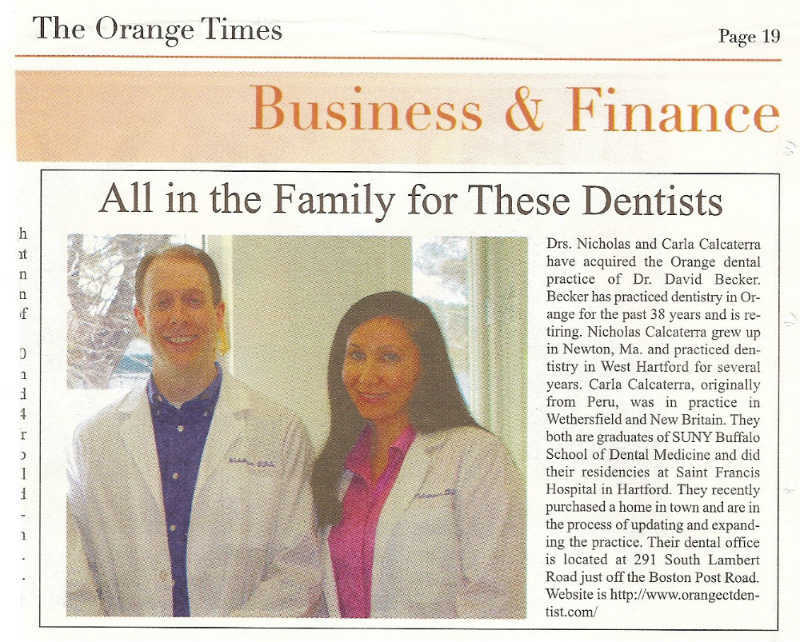 We are pleased that the Orange Times ran an article about our dental practice in the most recent issue! The announcement talks about the advanced training of Drs. Nicholas and Carla Calcaterra as well as what brought them to Orange, CT. The article can be found in Vol 2, Issue 10 dated August 8, 2013. A scanned in copy of the announcement. The original one looks much better! The Orange Times article, as seen above, looks much better in print than it does here. Visit this page to learn more about both Drs. Calcaterra. Nicholas Calcaterra DDS blogs about dental topics and happenings in our Orange, CT practice. Liz’s IV Sedation Video – Over 110,000 YouTube Views! Can a Chipped or Fractured Porcelain Crown be Repaired? Ceiling Mounted TVs in Every Room!